Establish a dominant central trunk. Remove diseased or damaged branches. Establish an acceptable skirt height, the height of the lowest branches. Establish permanent branches in upper canopy. Decorative pruning for shrubs and small trees will control: size, shape and promote overall health and growth. Improving the shape or silhouette of the tree. Thinning or removal of branches to increase light penetration. Performing routine tree care will lessen future costs by: providing the tree with a dominant central trunk, reducing potential for storm damage, and reduce the chances of having to remove large branches in the future. 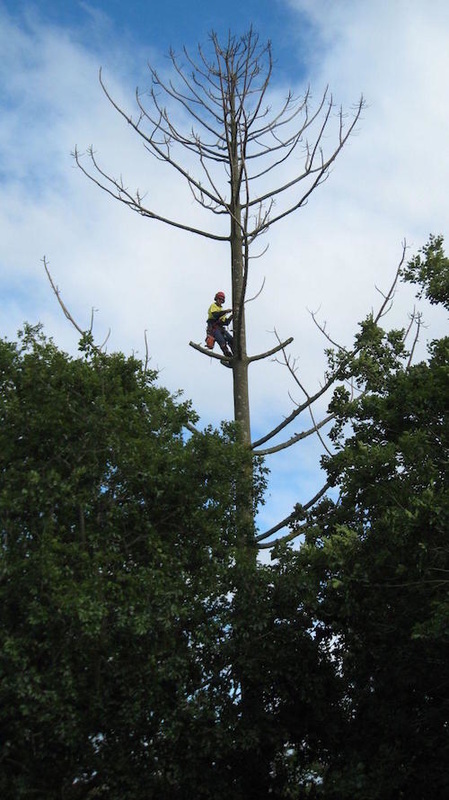 One our tree care experts have come and assessed the condition of the tree(s) and the work requested they will make recommendations as to the service that will be required. In some cases tree trimming will not be advisable and tree removal will be advised. It is up to the homeowner and the tree specialist to come up with the best solution. Although many are under the impression that there is not a lot that goes into pruning trees and trimming tree branches there is more than meets the eye. It is important to note that there are times of the year that are better for tree trimming and pruning in Logan UT. This is partly due to how harsh the cold seasons are on trees and the quick growth we experience during the warmer times of the year. It is actually better for the overall health of your trees if you trim trees during the colder months of the year while the tree is dormant. It is also important to not cut to many branches off at one time as this can kill the tree. It is important to rely on the expertise of a tree care specialist like those at Tree Service Logan when it comes to your tree trimming needs. With decades of experience we have the knowledge to trim your trees without causing damage to your tree. You must first determine what type of tree service is needed to maintain and improve the health, appearance and safety of your trees. Improper Pruning and trimming will lead to multiple problems and hazards in the future. Pruning and trimming in winter while trees are still dormant is preferred to avoid injury to trees from from exposed cuts. The ground is also harder in winter meaning less damage to you lawn and garden from the removal and lowering of large branches. We take precautions in warmer seasons to avoid damage to your personal property. If you have a tree trimming emergency do not wait to call. If you have a tree branch that is in danger of falling and damaging your property is it important to bring in a tree service expert to safely remove the branch. ​We climb trees using ropes, harnesses, and pulleys to do our work. We do not use bucket trucks/cherry pickers to prune mature trees. Tree climbing allows for precision pruning because we can access every part of the tree. Using cherry pickers can lead to breaking sprouts and branches while trying to access the interior of the tree. This also means we hand select our cuts specifically for tree health. By climbing your trees, we do not have to bring a big truck into your yard which can result in dramatic soil compaction. Don' take unnecessary risk call us today to ensure the job is done right! Tree Service Logan has decades of experience serving Cache county and the surrounding area. Call us for proper tree branch trimming including live and dead branch and tree trimming. We practice safe and professional tree trimming services. Once we have finished with your tree trimming needs we will be left with many of the fallen branches that can be turned into firewood and wood chips. If you choose we can turn your tree trimming into wood chips that are good for improving your landscape, providing nutrients to your yard or to compost for mulch.